KATSHUSHIKA Hokusai is by far the best known Japanese artist in the west. Everybody remembers at least his Great Wave off Kanagawa. Much of Hokusai’s popularity is due to his 15-tome series of illustrated books called Hokusai Manga. In the west, it started japonism. It also gave the name to what we now know as manga. It is told that the Japanese woodprints called ukiyo-e came to the west as separate pages of Hokusai Manga (北斎漫画, ”Hokusai’s Sketches”). The pages had been used as padding for china imported from Japan. Probably they were failed prints. The French etcher Félix Bracquemond saw these prints and got very excited over these exotic images. That event started the enthusiasm on Japan first in France, then allover Europe. Japonism was prominent in the Exposition Universelle of 1867 in Paris. Artists influenced by Japan include Edouard Manet, Claude Monet, Edgar Degas, James Abbott Whistler and Vincent van Gogh. Later, also Pablo Picasso and Paul Klee studied Hokusai’s sketches. Surprisingly, Hokusai was easy enough for European artists just because he was too ”western” for many Japanese. 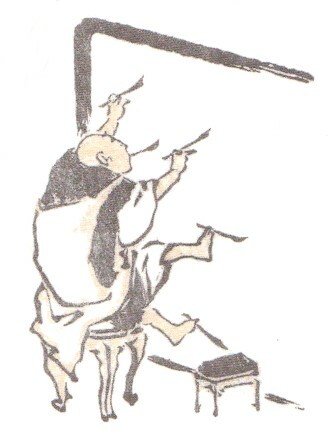 Hokusai was largely influenced by western art. For example, he learned from it the use of perspective and shading to illustrate three-dimensional space. PIE International has now published an impressive selection of the images of Hokusai Manga. The art director of the compilation is Kazuya Takaoka. The texts were written by Mitsuru Uragami and Hideki Nakamura. The compilation was possible only because of Uragami’s hobby. Uragami is an art dealer and the chairman of the International Ukiyo-e Society. He has the best collection of Hokusai Manga in the world: alltogether 1400 copies of the tomes of Hokusai Manga. Such a collection may sound strange – some parts of Hokusai Manga are represented by more than one hundred copies. 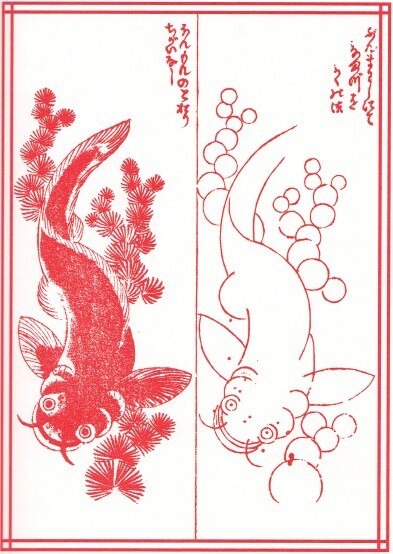 But one must remember that the books created by Japanese printers are handmade individuals. Each copy of each tome is different. There were changes due to eg censoring too bold images of women. Errors were corrected. Also, the cherrywood printing blocks changed because of wear. How to draw catfish with a pair of compasses. HOKUSAI (23.9.1760-18.4.1849) was a peculiar personality. One of his oddities whas changing his name about thirty times. His most famous names include Shunro, Hokusai, Taito, Iitsu and Manji. Changing names was quite common with Japanese artists, but nobody did it as often as Hokusai. Most of his fame he received under the name of Hokusai. That is why he later used Hokusai as an attendum even when using other names. To the name Manji he also added the famous epithet Gakyo rojin, ”old man crazy about art”. Hokusai moved often. During his lifetime of 90 years he changed his home 93 times. It is told that sometimes he moved three times during the same day. Maybe this was because of his unwillingness to clean: it was easier to move than to sweep. In addition to frequent moving, Hokusai was a frequent traveller. The Edo-born artist travelled a lot in Japan during his old days. Hokusai was also a showman. He loved his popularity, but he also knew how to turn art into money. His most famous trick is wetting a chicken’s feet in red paint and letting the chicken walk on paper. The artwork presented to the shogun illustrated autumn leaves floating in a river. Hokusai had artistic tricks both large and small. In October 1817 he advertised his Hokusai Manga by painting Bodhidharma on a paper of 120 tatami (18 meters by 10,8 meters). He made the huge painting by using a bunch of straw as a paintbrush. His smallest work was two sparrows painted on a grain of rice. One of Hokusai’s passions was reducing images to their simplest possible elements. He showed for example, how a catfish can created from simple arcs, or how a dog can be drawn with squares and other geometric forms. THE FIRST part of Hokusai Manga was published in 1814. It was meant to be the only tome, but the work was so popular that nine more books were speedily decided upon. Later another set of ten tomes was planned. Hokusai never finished twenty books. The fifteenth and the last tome of Hokusai Manga was printed in 1878, almost thirty years after the death of the artist. Hokusai Manga is a mixture of many intents. First, it was intented to be a guide to skecthing for Hokusai’s pupils. Second, popularity lead to the inclusion of many popular images: comical characters, gods, demons… Third, Hokusai Manga shows Hokusai’s passion to study, paint and categorise everything he saw. Hokusai painted practically everything that was visible or imaginable in Japan of the late 18th and the early 19th century. 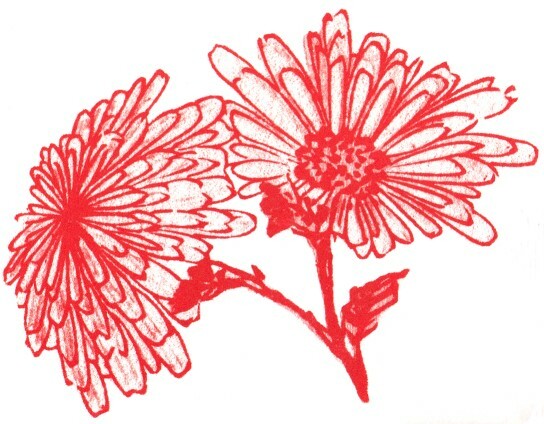 For the books, every image was engraved on printing blocks of cherrywood. There are alltogether 970 pages in Hokusai Manga, and they include 3900 pictures. Hokusai painted people: Doctors, medicine vendors and midwives. Bear hunters, bird catchers, fishermen and pearl divers. Blacksmiths, rope makers, weavers and umbrella makers. Prostitutes, children and old people. Fat and skinny, rich and poor. People threshing rice, people bathing and people making sake. Hokusai made experiments with perspective and texture. He painted very precise images of plants, birds and fish. He observed the flight of birds, the movement of waves, the forms of clouds, the wind flapping clothes and the snow weighing on branches. There are also very thorough technical images of guns, looms, gates, roofs, kitchen utensils and tools. In addition to guns, some other western items can be seen, like glasses and a magnifying glass. Comedy: The painter with five hands. HOKUSAI Manga is not manga in the modern sense of the word. But it is comics in the sense that it is as close to comics as was possibly at that time. It is almost certain that the current word for Japanese graphic novels, manga, comes from this work. 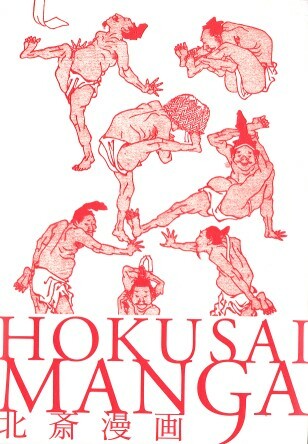 The name Hokusai Manga (北斎漫画) means ”Hokusai’s Sketches”. The word manga tells that the images have been made in a random and carefree style. A quite proper name for graphic novels, even though not all of them are random or carefree. There are some comic-like images in Hokusai Manga. Hokusai painted several sets of about ten images. One of them shows how a samurai’s armour was put on. 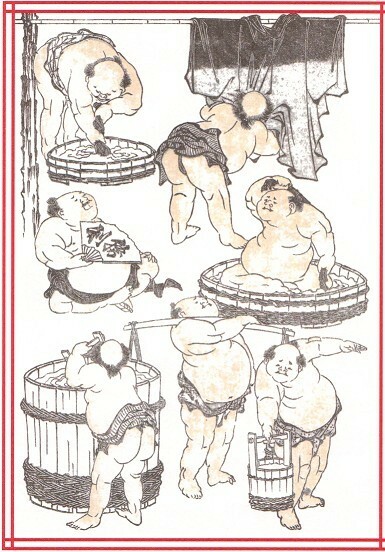 Another displays the positions and faces of sumo wrestlers. Some sets of images display acrobatic stunts or different masks. Some of Hokusai’s pictures make you laugh: The horse of a noble maiden shitting on the road, the brothel dog stealing fish, the mice selling rice, the man whose male menber is large enough to be carried by a servant. The pair of images showing two millers is funny. One is sweating with a mill powered by his foot muscles. The other one smiles broadly, as his mill is run by a waterfall. Actually, most of Hokusai’s pictures of ordinary people are quite funny. Hokusai had the power of showing something essential: look, this is what we people are like! Almost comics: fat men in their chores. PIE International’s collection Hokusai Manga is a beautiful but unwieldy book. Sadly, artistic design has been more important than readability. The pages of the book are large, but many of Hokusai’s images are printed in their original small size. The rest is white. Many images have been magnified too, but in an ugly red colour, some even as negatives. Artistic, maybe yes, but the colours tell nothing about Hokusai’s original work. The book is soft covered, but it is printed on very thick paper. That combination makes the book difficult to read. The glued back makes the book hard to open. The content would be very nice material for coffee table discussion, but the book is far too unwieldy for that purpose. It weighs four pounds! Actually, I wish somebody would make another book with the same material: A normal book made for those readers who are interested in Hokusai’s art, not in a handsome tome in their bookshelf. The same images and the same excellent texts should be included.